What Happens when You Get a Ticket While Out-of-State? There's a sinking feeling in the pit of your stomach when flashing lights appear in your rearview mirror. You know that you were going too fast, or that you missed that stop sign, or that you squeaked through a light a few critical seconds after it turned red, and those lights mean that you're in danger of getting a ticket for it. If you're out of your home state, the odds of getting a ticket are even higher, since many officers will be more likely to ticket tourists instead of letting them off with just a warning. What actually happens when you get a traffic ticket out-of-state? Do you have to pay a traffic ticket when it's acquired out-of-state? The short answer: yes! Any time you get a traffic ticket, you're responsible for paying it. If you don't pay the ticket, there can be serious legal ramifications. In fact, you may feel more pressured to pay a traffic ticket received out-of-state, since it's more difficult to contest it. In every state, if you have unpaid tickets in another state, they will suspend your license. What if you want to contest a traffic ticket received out-of-state? When you're in your home city, if you want to contest a traffic ticket, you just need to take a day off work and go to court to contest the ticket. In some cases, this can be effective in having the ticket removed from your record, the points removed from your license, and your fees reduced or removed--especially if the police officer responsible for issuing it doesn't show up. When you receive a traffic ticket out-of-state, however, you'll have to go back to the county in which it was issued in order to contest the ticket--which is often more expensive than simply paying for it. If you do opt to contest the ticket, make sure that you hire an attorney from that state to represent you. Do you get points on your license for a ticket issued out-of-state? 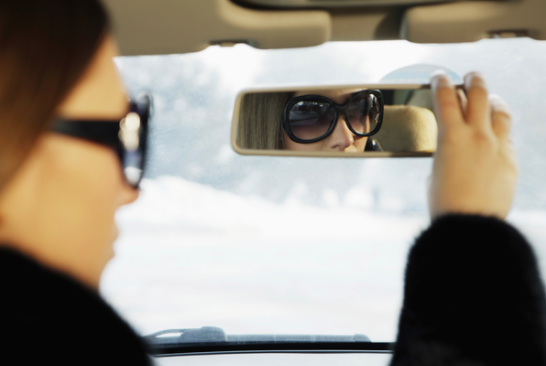 If you're in New Jersey, all violations from another state will incur two points on your license. If you're in Colorado or Pennsylvania, a minor traffic violation--speeding, for example--won't be placed on your record at all. Maryland and Nevada opt not to issue points for violations received out-of-state, but will record the violation. Severe violations--DUIs, for example--will receive more attention and will certainly show up on your record. Does your insurance go up if you receive a ticket out-of-state? When it comes to insurance, whether or not your insurance goes up depends on a number of factors. First and foremost, it will depend on whether or not your state chooses to record those violations that were received in other states. Second, it will depend on the severity of your offense; and finally, it will depend on whether or not your state allows for insurance increases after a single moving violation. Receiving a traffic ticket while you're traveling, whether you're on vacation or on a business trip, isn't a reason to panic. The good news is, you have many of the same options you'd have if you received a ticket in your home state--and the repercussions may be less severe. While you may have points added to your license, attending traffic school can help reduce them and get you back on track.